OpenSesame (www.OpenSesame.com), the elearning marketplace, and Reviewsnap (www.Reviewsnap.com), the leading cloud-based performance management software solution, today announced a powerful partnership. The alliance integrates the services of both companies, giving Reviewsnap customers greater and more streamlined access to performance management content. OpenSesame is an online marketplace for corporate training courses, where buyers choose from more than 12,000 courses, read customer reviews, watch previews and instantly use purchased courses. 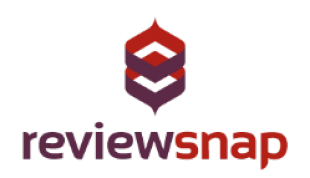 Reviewsnap is a performance management system that lets managers and supervisors give real-time, detailed feedback to employees, while capturing meaningful data about performance at the organizational level. “With this partnership, our customers will have the tools to instantly act on performance information to more directly and immediately enhance their organization’s capacity to bring learning into the workflow,” said Chris Arringdale, vice president of marketing for Reviewsnap. “Excellent training courses from OpenSesame’s 100-plus developers will be embedded in the Reviewsnap platform, giving employees instant access to performance improvement opportunities,” Spear said. The combination of the Reviewsnap and OpenSesame platforms will “ultimately accelerate the speed of innovation and improvement for any of our customers,” Arringdale said. In times like these, growth is earned by companies that align their people behind shared goals. If you are working to get everyone on the same page, Reviewsnap is with you. More than performance management software, we offer true partnership through genuine customer service and support. And unlike those other guys who care more about shareholders than customers, we can’t sleep at night unless you can. We are all together now. We are your performance management partner. We are Reviewsnap. Visit us on the Web at www.Reviewsnap.com. Based in Portland, Oregon, OpenSesame is an open marketplace connecting elearning buyers and sellers. Buyers browse more than 12,000 courses in a wide variety of subjects, from workplace safety to business skills, all compatible with any learning management system. For more information, visit www.OpenSesame.com or follow @OpenSesame on Twitter.